As a way of expressing our gratitude, for any gift of US$25 (or CAN$25, or €25) or more, we will send you the books Steps to Christ (see below) and Tips For Resisting Temptation. Or take a look at our complete library: almost 150 books are available! Get solid, biblical advice for overcoming the perils that threaten your relationship with the Father. This book shows you that by following Jesus’ example, your life can be filled with victory! 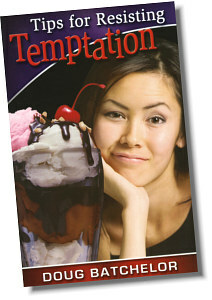 Great for sharing with anyone struggling with sin and temptation.